Going through a divorce can really put your self-esteem through a loop. Whether you wanted the divorce or not, either way you’ll be battling some pretty confusing emotions. You might be wondering why you weren’t good enough, or if anyone will ever love you again, while at the same time you’re completely lost in a sea of new social norms you don’t understand, wondering how the hell you’re supposed to navigate this “whole new world” on your own. Loneliness, uncertainty, confusion… not to mention the inevitable comments from not-so-nice relatives telling you what a terrible parent you are for getting divorced! 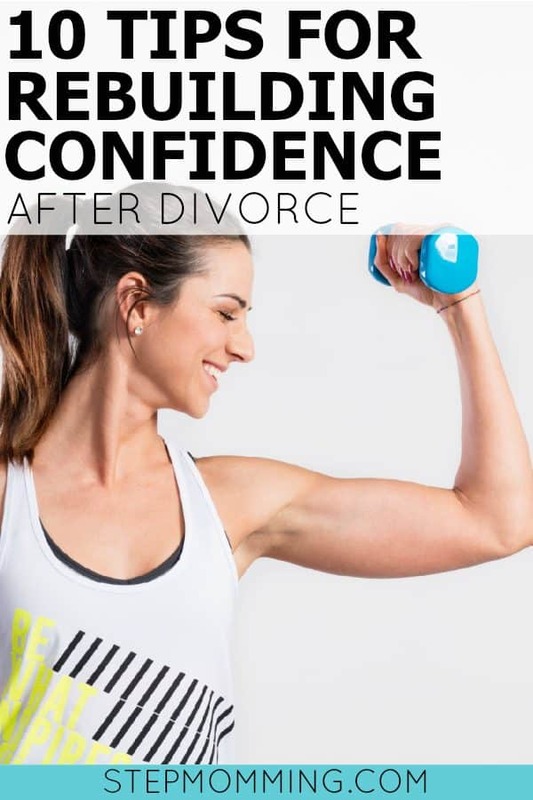 Everything about divorce takes a serious beating on your self confidence. But it’s also a perfect time to rebuild. Divorce can be a serious low point for many people, so it’s important to take time to focus on finding yourself after such a serious split. 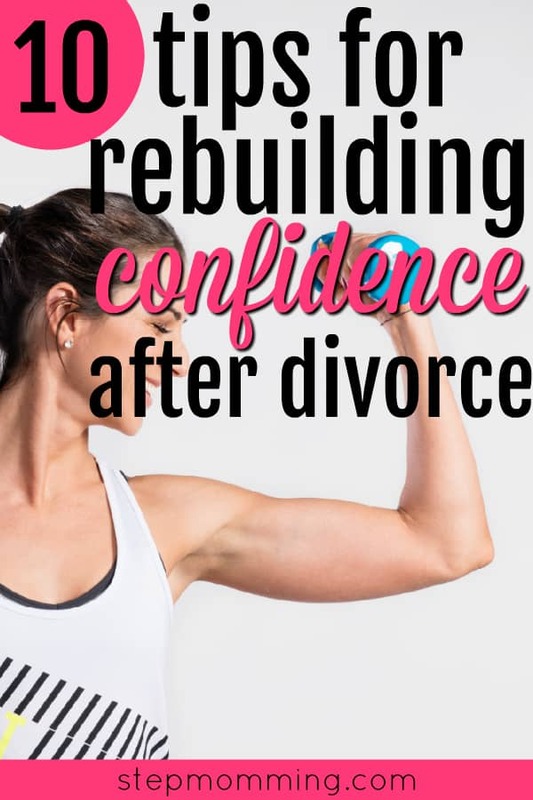 Rebuild your confidence and become a better version of yourself! Below are 10 ways you can rebuild your self-esteem and find yourself in the process. I remember how proud I was of myself when I taught myself how to cook after K was born. I worked my way through an entire Betty Crocker cookbook before I felt comfortable winging it. Learning to cook was a real confidence booster for me. Whether you pick up cooking, painting, skiing, tennis… whatever you choose, learning a new skill or hobby can really boost your self-esteem. You can do anything you set your mind to, especially when you are truly passionate. Taking care of yourself, your appearance, and your mental well-being is a big step toward rebuilding confidence. Allot some time for yourself at the end of the day to focus on you. Take a bath, pluck your eyebrows, polish your nails, put on a soothing face mask, relax in bed with a good book, knit, whatever you have to do to feel relaxed and refreshed. Expanding on your education is also a great way to boost that self confidence, especially if you’re a “learner” like me and love to soak up knowledge. Finish your degree, go for your Master’s, or just take a continued education class to learn something new – like photography or blacksmithing! Learning throughout your life keeps your mind sharp and your facts straight. Remember that your child loves you. Even if you and your ex-spouse are no longer together, remember that your child loves you. She looks up to you and watches how you act, so if you model confident behavior, it’ll be easier to teach your child to be confident as well. And if you’re ever feeling particularly down in the dumps, give your baby a hug. Sit down and play a game together, read a book, or watch a movie. Your little one will love the quality time with you. Focus on giving to those less fortunate. Often times when we focus too much on our own problems, we end up in a spiral of negativity and self-loathing. But when we focus our attention on those less fortunate and start giving back – whether that’s volunteering time, cooking a hot meal, or donating goods to a shelter – it can open you up to a more positive way of thinking. There is always going to be someone out there who has it worse. Help them without expecting anything in return, and you’ll see how much better you feel about yourself. Help a friend with a project. Get your hands dirty and help a friend with a big project she’s been stressing over. Does your neighbor need his lawn mowed? Or perhaps your friend is trying to re-do her kitchen? Much like giving to those less fortunate, offering your time and free labor to a friend can also help improve how you feel about yourself. Plus, I’m sure your friend will be very grateful for the assistance! Travelling to a new place on your own after a big breakup is an excellent way to get your bearings straight on life. After our divorce, my ex-husband went to Thailand. After a more recent breakup of mine, I travelled to the mountains of Colorado. Travelling alone can be scary, but it also forces you to rely on yourself. As I stood on top of Pike’s Peak looking over the breathtaking landscape, I realized I was perfectly fine – happy even – being alone. I knew I could make it independently, and it was a huge life-affirming confidence boost for me. As Elle Woods (Legally Blonde) said, “Exercise releases endorphins. Endorphins make people happy.” Working out regularly – whether that means starting a new regimen at the gym, going for a run each morning, or joining a yoga class – is a serious way to rebuild that self confidence. Not only will you get the endorphin release to make you feel good, but you’ll improve your figure at the same time. Totally a win-win. No matter how down in the dumps you get, there is always something to be thankful for. Try to find whatever silver lining you can out of the situation you’re in. Look for things you like about yourself, your life, your kids. Push past the negative and everything that disappoints you, and focus on the things you’re grateful for. Do you put food on the table? How about that beautiful smile your little one gives you? Or the best friend who’s right there by your side trying to build you up? What about the compliment you got at work for a job well done? What about the clean air you breathe? Even if it’s the tiniest thing, count it. Eventually you’ll see things aren’t hopeless. Change your thinking, and you’ll change your life. After their divorce, many parents are left wondering how they’re going to go it alone. 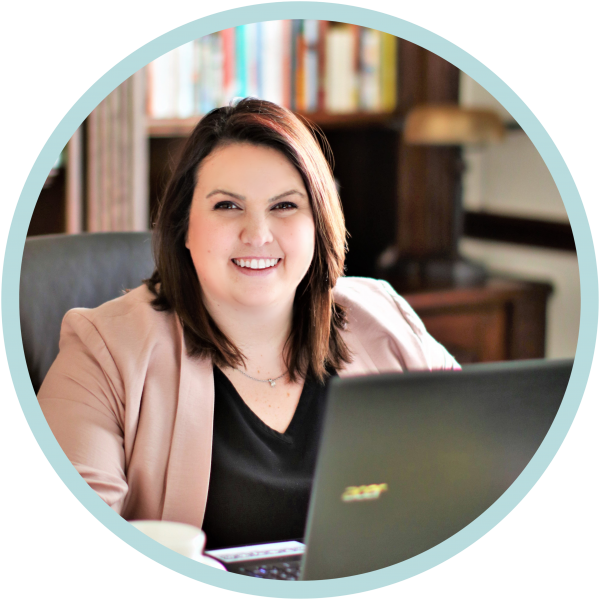 You spend years relying on another person to help with bills, child care, household chores, errands, and life in general… and suddenly, he’s not with you anymore. You have to rewire your brain to see things from a different perspective. There won’t be anyone there to greet you when you get home. No one to bring to social outings to lean on when you’re feeling awkward. But you know what? You’ve got this. Embrace that independence! You don’t need a significant other to be happy. You don’t need a man to open that pickle jar – buy yourself a silicon pad, a rubber jar opener, or use a rubber band! Can’t remember to pay your bills? Add alerts on your phone calendar! Can’t afford your home on your single salary? It might be hard, but sell it and find something you can afford. I didn’t say independence would be easy – but that’s what makes it so rewarding once you master it. Want to rebuild your self-esteem? Embrace your independence. Depression and low self-esteem are all too common after divorce these days. It’ll take work to rebuild, but you are absolutely worth it. You owe it to yourself and your children to learn to love yourself again. Grow your confidence and watch your children learn from your example. Just because life knocked you down, doesn’t mean you need to stay down. Pick yourself back up. It’s time to embrace your independence and find that confident person inside you. I totally agree with the count your blessings one! Even being thankful for 5 minutes a day has actually been proven in neuroscience studies to help people avoid depression! Yes. What happened is already happened. Life continues.Make sure you take good care of yourself. Stop dwelling on the past and start rebuilding your life. That is it!